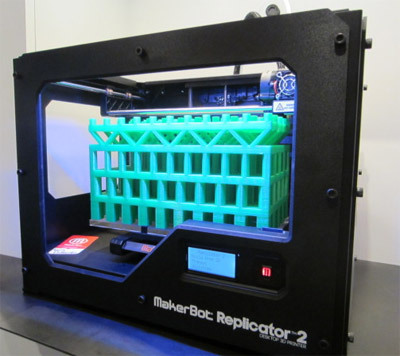 The merger between Stratasys and MakerBot could result in MakerBot products being widely distributed in Australian homes within the next six months. Stratasys has primarily developed 3D printing technology and materials for use in prototyping and production by governments and large manufacturers. However last month the company agreed to create a joint venture to acquire MakerBot, the Brooklyn, New York-based leader in desktop 3D printing. Makerbot specialise in affordable, “desktop” 3D printers which are cheap and user friendly enough to be used by individuals at home. Currently 3D computer operated design software is provided to schools free of charge, and many schools are investing in 3D printing technologies and therir studnets are learning how to use it. The 3D printing revolution is set for a boost when the current generation of school children graduate and start their own printing and manufacturing workshops.